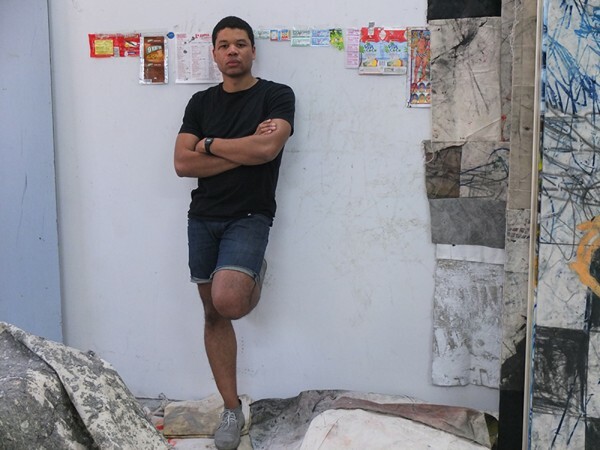 Oscar Murillo works across a wide range of media and techniques, including paint, printmaking, sculpture, installation, video and events. 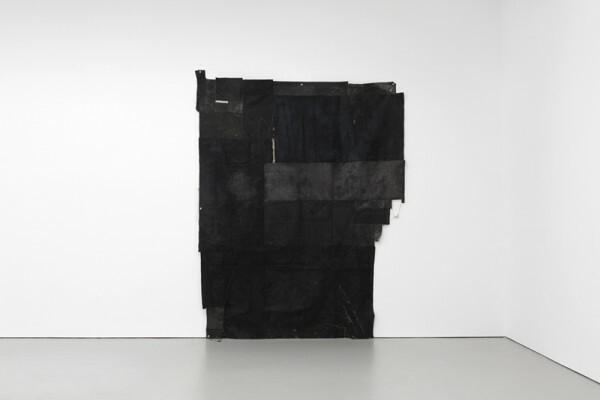 The materials Murillo uses often inhabit his studio for a long period of time, where they accumulate the traces of work undertaken around them. They eventually imbue the finished art works with a sense of time and labour. 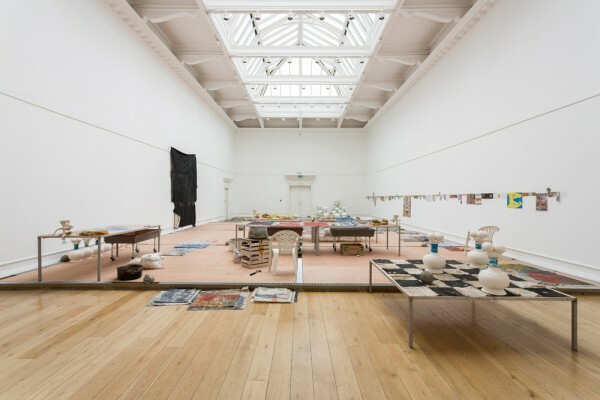 Murillo’s work indirectly addresses social relations and privileges, something which is obliquely reflected in his titles, such as his recent solo exhibition Dinner at the members club? Yes!! I’ll have a black Americano first pls (Carlos/Ishikawa, 2013). 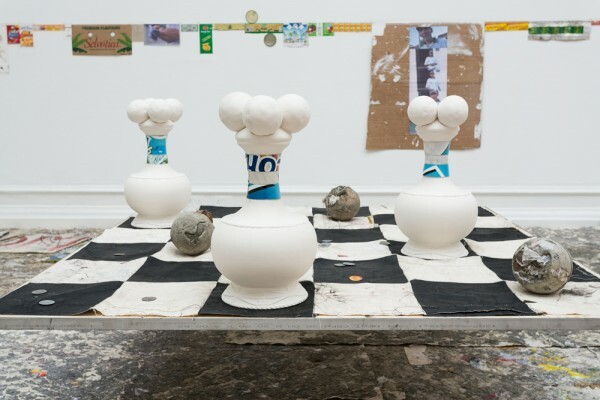 Yoga and Vita Coco coconut water and cleaners are examples of real-world references that make their way into Murillo’s work as signifiers whose meanings extend into notions of privilege, access, and the understanding of the body in different social strata. Murillo’s work displays an evident pleasure in making. The artist’s hand is everywhere: in the monotypes he creates on his studio floor, the hand stitching which joins the panels of his canvases or the cast concrete globes which encompass studio rubbish. 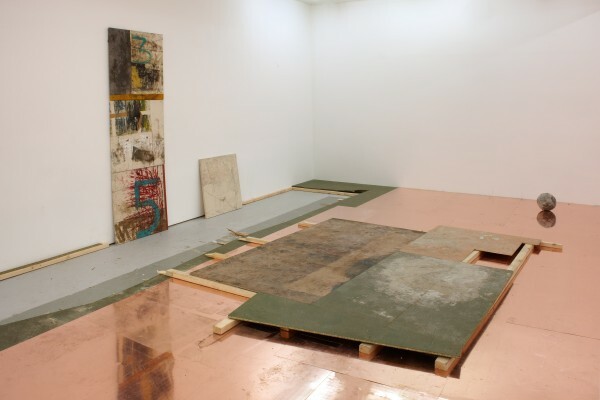 Recently, Murillo has created works using detritus from his studio. This recycling – in which every part of the raw material, including wrappers and broken fragments – is a way of redeeming refuse into material to make the work, but the process also carries a powerful political charge. Physical processes and their wider societal significance in relation to labour come back time and time again in Murillo’s work. His insights into labour and social groups are crystallised in titles such as 145 hours I clocked in this week (2013) and nothing gold can stay (2013). 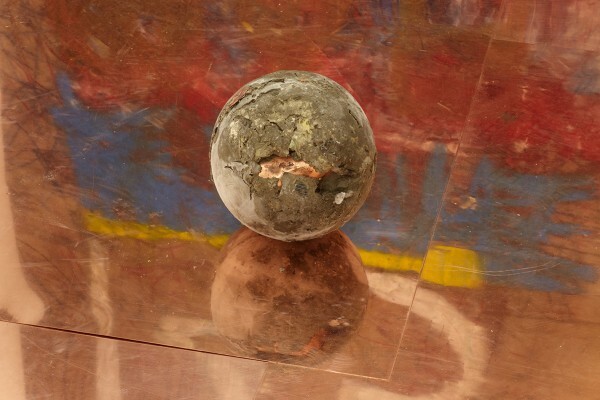 In addition to the wider implications of Murillo’s works, meaning develops through the labour that has gone into making the various components which constitute the works, through the alchemical reactions that occur to unstable materials or surfaces such as polished copper, and via the relationships between people involved in his events, sharing food, music and play. 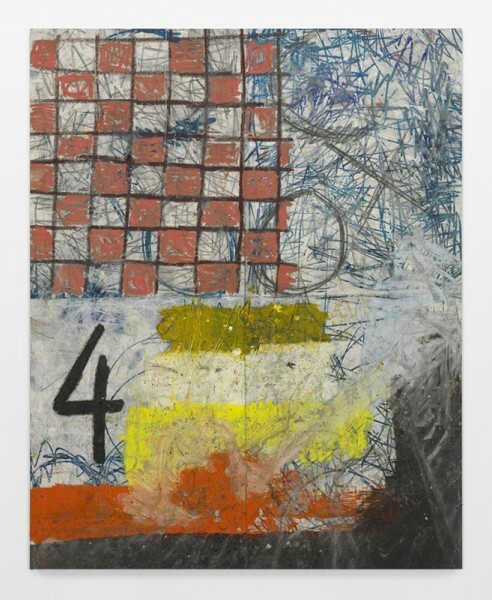 Oscar Murillo (b. 1986, Colombia) lives and works in London. He completed a BA in Fine Art at the University of Westminster, London, followed by MA in Painting in 2012 at the Royal College of Art, London. 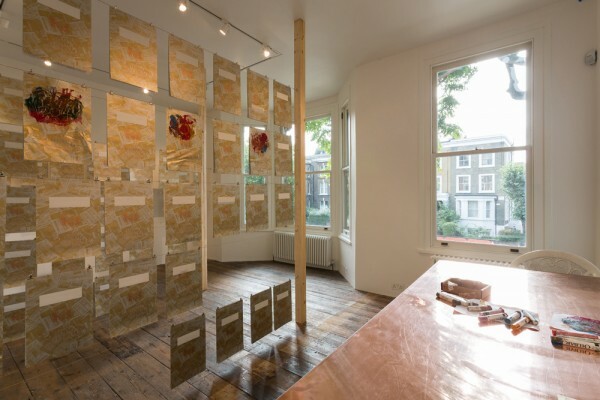 Recent solo exhibitions and projects include those at Isabella Bortolozzi, Berlin; Art Basel; Carlos/Ishikawa, London; MAMA Showroom, Rotterdam; Rubell Family Collection, Miami; Serpentine Gallery, London; Museo de Arte Moderno de Medellín, Colombia. Forthcoming solo exhibitions include Studio Museum Harlem, New York and The Mistake Room, Los Angeles. 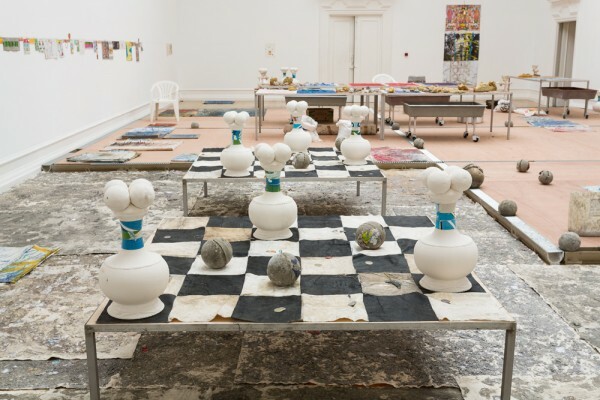 Click here for more information on Oscar Murillo’s current exhibition at South London Gallery, if I was to draw a line, this journey started approximately 400km north of the equator, 2013.